Just finished! 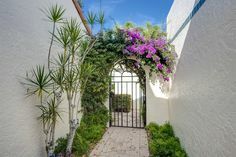 A stunning, complete renovation in the perfect location in the heart of Old Naples - just a block away from the world-renowned shopping and dining district of Third Street South and only three short blocks from the famous white sand of Naples’ beaches and the iconic Pier. This top floor, sun-filled residence, just one of four units of this small complex, overlooks lushly landscaped Rodgers Park to the east and the pool which is tucked away in the tropical garden courtyard to the west. Ceilings were raised to 9’ in the great room, walls removed and designer finishes such as Legno Bastogne wood floors, an LED linear fireplace, and a large island kitchen. All new solid wood doors & trim, LED ceiling lights, impact windows, and even a 1 car garage. 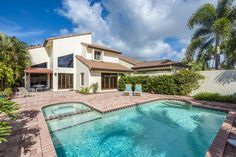 For the ultimate, sought-after Old Naples lifestyle, look no further!